Chi-ming Yang received her Ph.D. in English from Cornell University and her B.A. in Comparative Literature from Stanford University with emphases in Spanish, Chinese, and English. 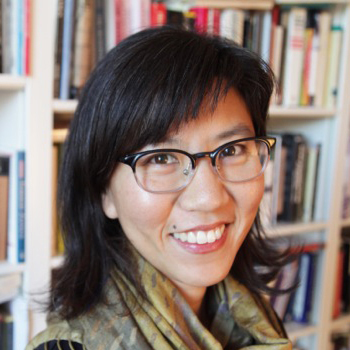 She specializes in the literary and visual culture of race and empire, with a focus on East-West cultural exchanges stretching from the early modern period to the 18th century, and up to the contemporary moment. Her scholarship is interdisciplinary and comparative in approach, crossing the bounds of British, American, Asian, and Latin American studies. Primary fields of research include: transatlantic/transpacific exchanges; science and race; material culture and globalism; contemporary/postcolonial art, film, and visual culture. Articles on race and visual culture include: "Haptic Blackness: The double Life of an 18th-century Bust" and "Silver, Blackness, and Fugitive Value, 'from China to Peru.'" Her book, Performing China: Virtue, Commerce, and Orientalism in Eighteenth-century England, 1660-1760 (Johns Hopkins University Press, 2011), is a study of the European fascination with Asia. It examines how China became an intensely debated example of virtue amidst England’s new consumer culture. Publications related to the theme of early modern orientalism have appeared in Comparative Literature Studies, Eighteenth-Century Studies, and Humans and Other Animals in Eighteenth-Century Britain: Representation, Hybridity, Ethics. Her new work concerns animals, race, chinoiserie, transatlantic slavery, and popular visual culture.